Ketogenic Diet and Impostor Syndrome – Multipassionate! OK, so I found another new passion. I’ve mentioned before that I am a combination of cyclical and simultaneous, but I often discover something new and fascinating, which I guess throws a bit of sequential into the mix. Sometimes, I think I’m related to that dog on the movie UP (Squirrel!). But more on the ideas of keto in a minute. First, I want to talk about impostor syndrome. 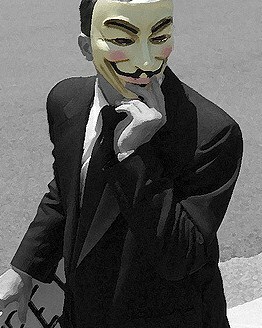 Impostor, or just an anonymous “expert”? I learned about Impostor Syndrome from Emilie Wapnick. It’s basically the idea (more accurately, the fear) that you’re not qualified to be giving people advice. In the book Outliers , author Malcolm Gladwell says that it takes roughly ten thousand hours of practice to achieve mastery in a field. This is often quoted to people who want to declare themselves “experts” at something. I got out my little calculator and discovered that coincidentally (or maybe not) the average bachelor’s degree takes about 10,800 hours of class time to complete. So, Impostor Syndrome tells you that you’re not qualified to give other people advice until you’ve had ten thousand hours of practice. Without it, you’re not a master. You’re not the head monk in the Shaolin temple, teaching Kwai Chang Caine, because you haven’t put in the lifetime of study required to achieve that level of expertise. So you hesitate to give anyone advice because you don’t know it all yourself. So, Impostor Syndrome is an irrational fear of something that isn’t true. I remember once, as a substitute teacher, I walked into a seventh grade math classroom, and was expected to teach these people how to calculate the area and volume of certain objects. Well, I was never very good at math in school, and that was more than 40 years ago. So how do I teach it to 13-year-olds? Fortunately, I had fifteen minutes before class started, so I began reading the textbook, which provided excellent explanations of the process. I successfully taught this concept based on my fifteen minutes of knowledge they did not yet have. Ten thousand hours? Pfah, that’s for normal people. So what’s all this got to do with a ketogenic diet? Good question, I’m glad you asked. Basically, I realized that I don’t suffer from Impostor Syndrome. Many Multipassionate people do. We’ve all been told about someone who is a Jack of All Trades, but Master of None. But I find myself learning as much as I can, and sharing it with others, almost immediately. And you can too. Some of my friends started mentioning ketogenics on Facebook, so I started looking into it. (such as my friend Hillary; ask her some questions) As we Multipassionates do, I totally geeked out, reading everything I could find. And then of course, I had to try it. Less than a week in, so no results yet, partly because I haven’t sufficiently mastered the practical aspects of eating this way. However, I immediately found myself in several Facebook groups about keto, giving advice to other newbies. I’m far from a real expert, and even had to be corrected at one point because I did not adequately understand a particular concept about which I had been pontificating. But many people have expressed gratitude for what I do know, because it’s at least a little bit more than what they know. And I’m learning more and more all the time. Sometimes somebody will post a question, or maybe make a statement that just doesn’t sound right, so I jump in an do a lot of research, and then post the results in the group. I’ve definitely helped some people understand this better, and I believe I have corrected a few of the myths that surround keto. Your turn. Use the comments below to tell me how you’re overcoming Impostor Syndrome. Love it, Mike! I find that when you know just a little more than someone else and you teach them – they think you’re an expert! Call it what you like, “expert” “authority” “master”…really it is just someone that is farther along than someone else in that area. And, regarding keto. I’ll geek out with you. John and I have been keto since January and have had some great results! Thanks for the great comment Karen! I know so little about this way of eating, but I definitely know enough to help others. Isn’t that the great part of the Rainbow Life?